Changing the way small businesses operate will transform sustainability from the bottom up. As Root360 seeks to create change for small businesses, we are taking a deeper dive into a very visible and rapidly growing sector: the craft beer industry. 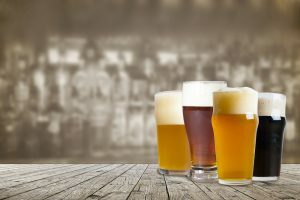 The craft beer world is exploding; the Brewers Association shows that craft brewers reached double-digit (11%) volume share of the marketplace for the very first time in 2014. Additionally, the demographics of craft beer consumers are changing and opening up new markets (e.g., more women, Millennials, wide range of income brackets). As these numbers indicate, it’s a very exciting time to be in the craft beer world. It’s also a very competitive time to be in the craft beer industry. To thrive, craft brewers must maximize resources, engage employees and run at optimal efficiency. HOPS360 helps them do just that. HOPS360 is an innovative program that gives craft breweries the tools to grow and adapt to today’s rapidly-changing marketplace. Our first partnership is with the Maine Brewers Guild and we are working with them to help understand how their members are making more sustainable choices. As a whole, craft brewers tend to include eco-friendly practices into their operations, have engaged employees who love what they’re doing, and often collaborate with their peers. These are all factors that will enable craft breweries to capitalize on their experiences with HOPS360. If you are interested in learning more about HOPS360, please contact Danielle Sarmir at dsarmir@manomet.org.